This 80cm Electric guitar is ready to Rock & Roll. The complete starter pack has everything your child needs to start learning and playing music. Encourage your child to develop an interest in music and allow them to be creative and have lots of fun at the same time. 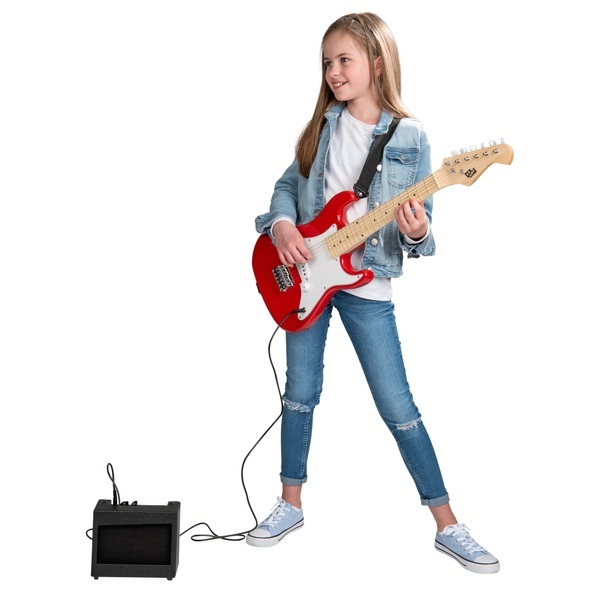 It includes an extrenal 4 watt amplifier with high output pickup and volume control, a guitar bag, guitar strap, guitar pick and spare strings.